As the beverage industry undergoes a transformation with carbonated soft drinks losing their position and consumers preferring “healthier” beverages, Coca-Cola is looking to focus on innovation to introduce new/modified beverages which will attract consumers. It is concentrating on flavored water, bottled water, and dairy beverages to diversify its portfolio. The new management structure is aimed at the company’s strategy to drive growth via newer products in line with changing consumer preferences. 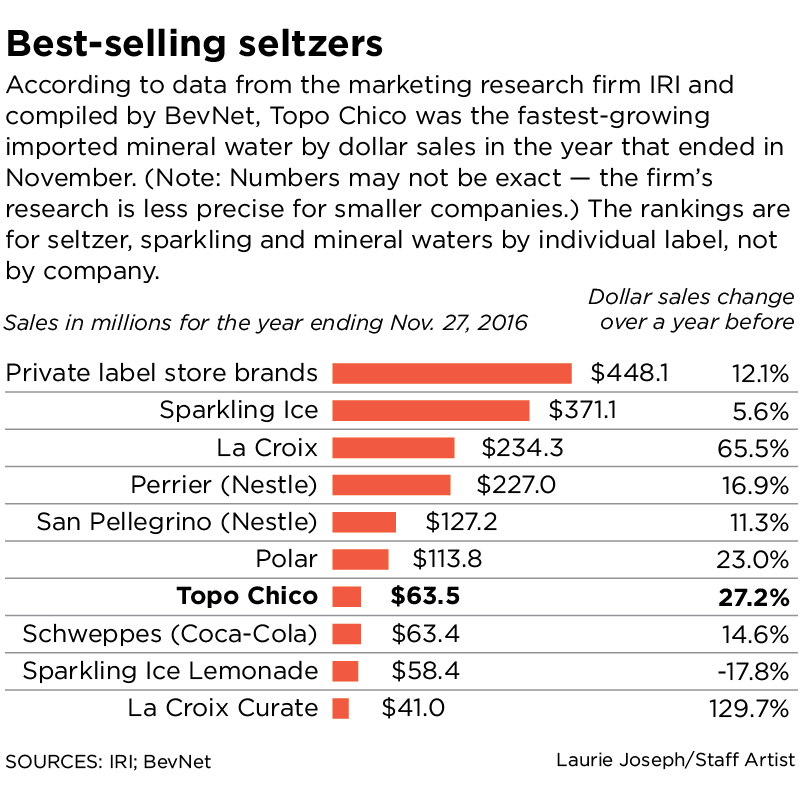 Topo Chico is one such brand, and the premium, imported sparkling water market itself is growing at double digits. The brand has had a runaway success in Texas, where it is leading the category. Currently, it is being sold in Northern Mexico and 35 US states, with Texas contributing to 70% of the US sales. The brand has a loyal Hispanic customer base and has managed to garner a strong millennial following. Estimates have pinned the brand’s revenues at over $60 million, which are minuscule compared to Coca-Cola’s. However, this acquisition will give the cola giant a strong foothold in the fast-growing sparkling water space. Furthermore, given Coca-Cola’s strong marketing and distribution, it will be able to vastly scale up this brand. By focusing on a product which is outside of the company’s traditional carbonated soft drinks space, it is acknowledging the shift in consumer preferences away from the sugary beverages and is taking steps to make up for the potential loss of revenue. In fact, the VEB unit is devoted to such products that differ from the regular sodas. Honest Tea was started in 1998 with the aim of making healthy, organic teas, and remains committed to sustainability while continuing to grow its beverage offerings in the country. Coca-Cola invested 40% in Honest Tea in 2008, when the company had about $30 million in revenue, and purchased it outright under the VEB umbrella in 2011. The latest numbers from 2015 have pegged the brand’s revenues at $180 million. Given that nationally, more than $2.3 billion worth of bottled sparkling water is sold every year, according to consumer market researcher Information Resources Inc., it is definitely a significant market for Coca-Cola to ply its trade. Already in the first half of this year, this market has grown by almost 40% in terms of volume, with double-digit growth reported in dollar sales. This tremendous growth is expected to continue in the future as well, as the soda sales decrease and consumers look towards sparkling water to satisfy their cravings for carbonation. Seeing the enormous potential of this market, it would come as no surprise if Coca-Cola is able to replicate the success of its Honest Tea brand with Topo Chico.